With the intensifying crackdown inside Tibet right now, it can sometimes be difficult to stay positive/cheerful about Tibet’s situation. But today was a slap-in-the-face-“stay-cool-goddammit!” kind of day. 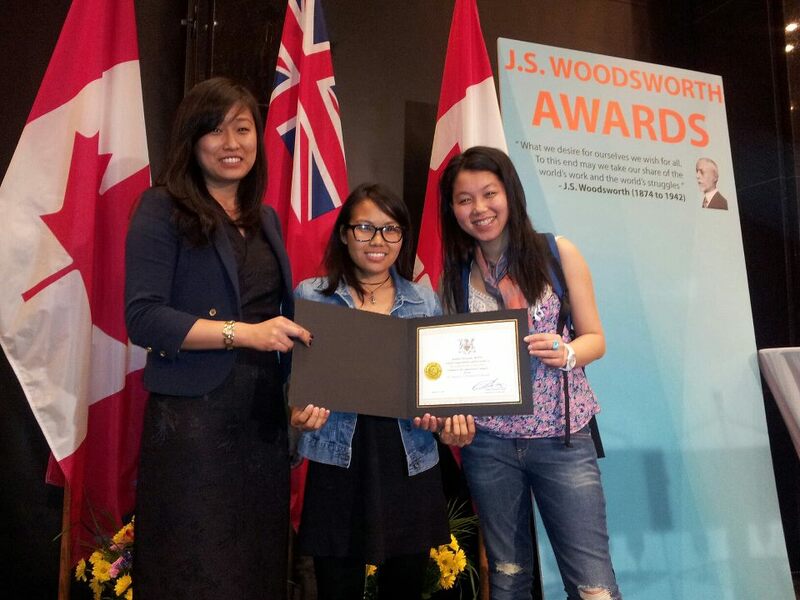 With the nomination by an Ontario Member of Provincial Parliament, Students for a Free Tibet was honoured tonight with a nomination for the 16th Annual J.S. 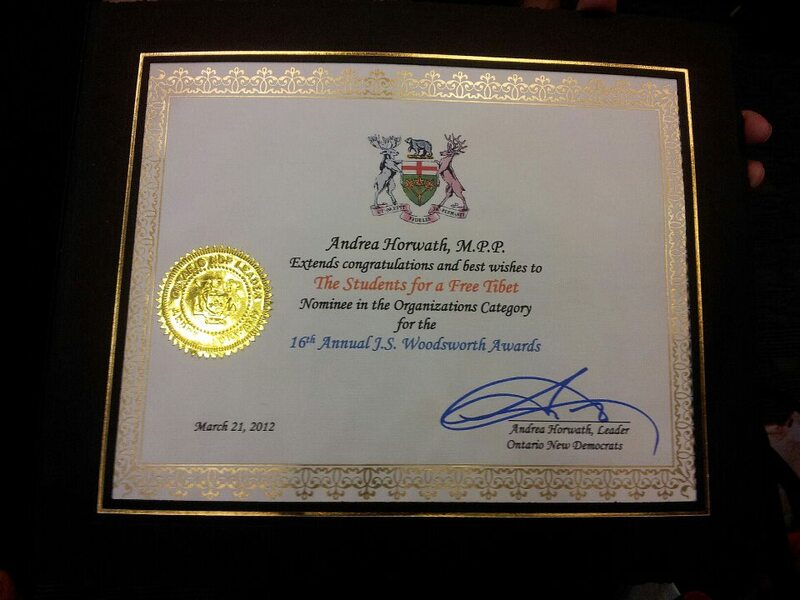 Woodsworth Award in the ‘Organizations’ category. The Ontario New Democratic Party Caucus established the annual J.S. 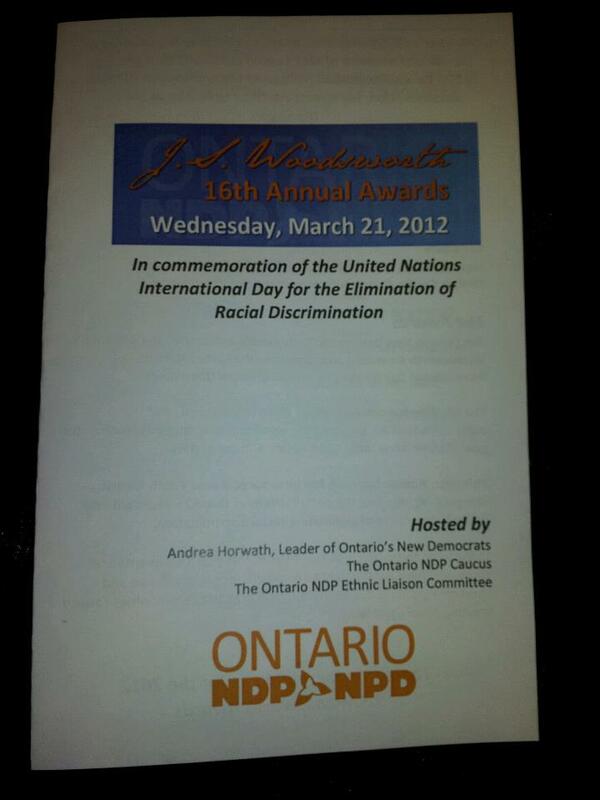 Woodsworth Awards to commemorate the United Nations International Day for the Elimination of Racial Discrimination. The awards are given to individuals and organizations which demonstrate significant contributions towards the goal of eliminating racial discrimination in our society. To be honest, I wasn’t exactly sure how we fit into this description at first. 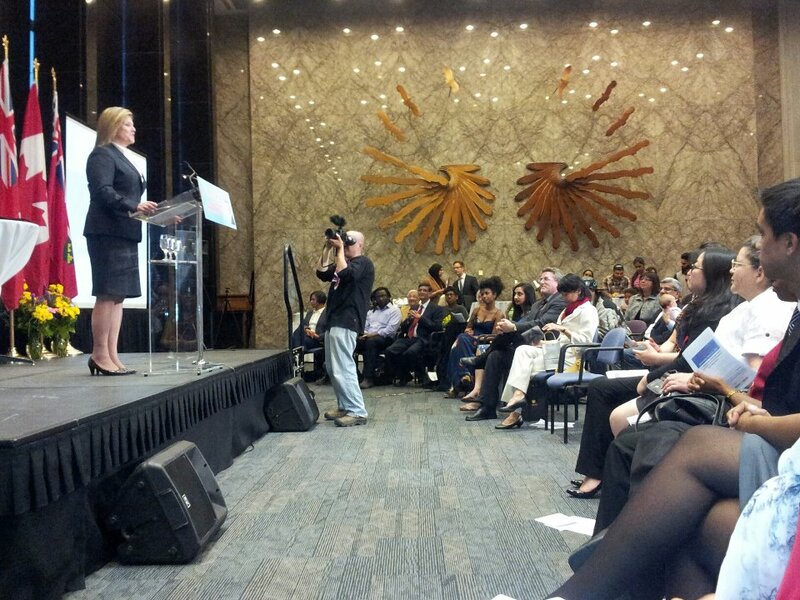 But as the ceremony tonight went on, and we heard from speakers and nominees who had themselves led the fight to eliminate racism, challenge and overcome systemic discrimination, and organize communities toward creating a more just world, I began to see how perfectly the Tibet freedom movement fit into this. Speakers and nominees tonight have been involved in continuing struggles such as apartheid in South Africa, rights for Canadian Aboriginals, and equality for minorities and people of colour. But the overwhelming theme was social justice and fighting against a system that limits and oppresses a select group of people; such as is being done in Tibet under Chinese rule – cultural genocide. Since ’59, the Chinese government has been aggressively and systemically been trying to erode and erase our culture, language, and overall existence. But as is overwhelmingly being demonstrated these days, Tibetans are not taking this sitting down – they are rising up and fighting back. Tonight was a good reminder that China will never keep us down. 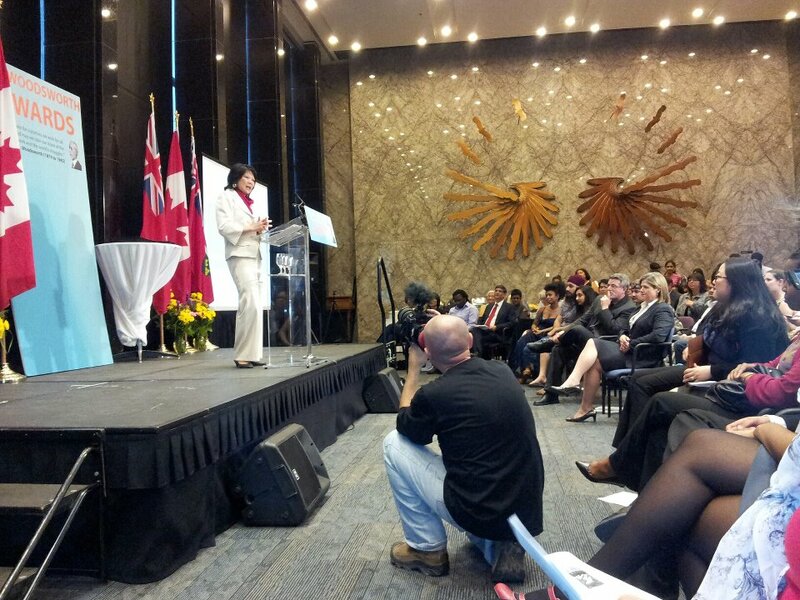 With a Tibetan organization being nominated for this prestigious award by a Canadian political party, in the presence of so many important Canadian political and civil society leaders, and even potential future Canadian Prime Ministers tonight, I was extremely proud to be a part of the Tibetan freedom movement and more importantly, Tibetan. When I went up on stage to accept the nomination on behalf of Students for a Free Tibet, I could have sworn the clapping and cheering for our organization was much louder than the other nominated organizations (Youdon later confirmed this for me). This just goes to show that Tibet has something that China will never have – genuine support all because we have the truth on our side, and the world knows it. Although I may not have been too confident at first about whether we were right for this award, by the end of the night I realized that what the award exemplifies and represents is exactly what Lhakar stands for – Unity in the name of justice in the face of oppressors. ps. 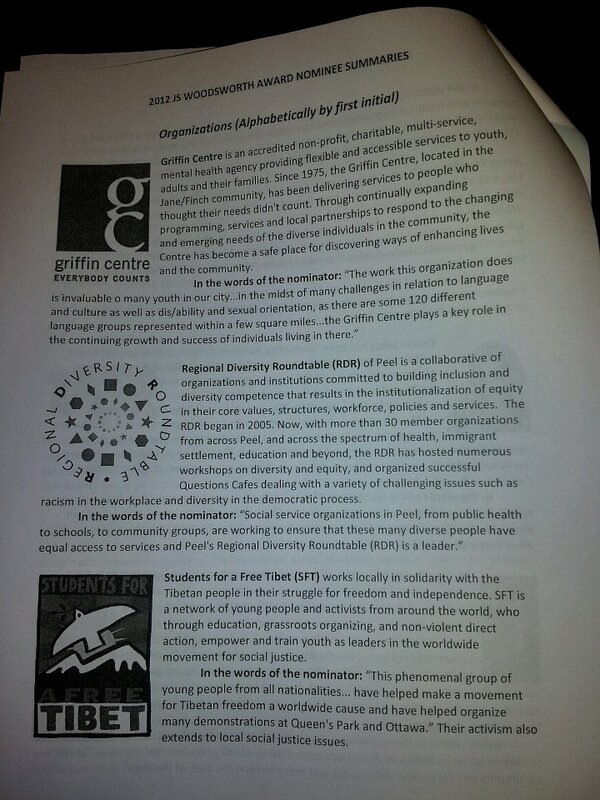 I don’t feel the need to explain in depth why SFT was nominated – the work of the young Tibetans and supporters from all different backgrounds to fight for justice and Tibetan freedom while also developing their own political skills, knowledge and power is pretty evident, and MPP Cheri DiNovo explains it pretty well in her nomination. 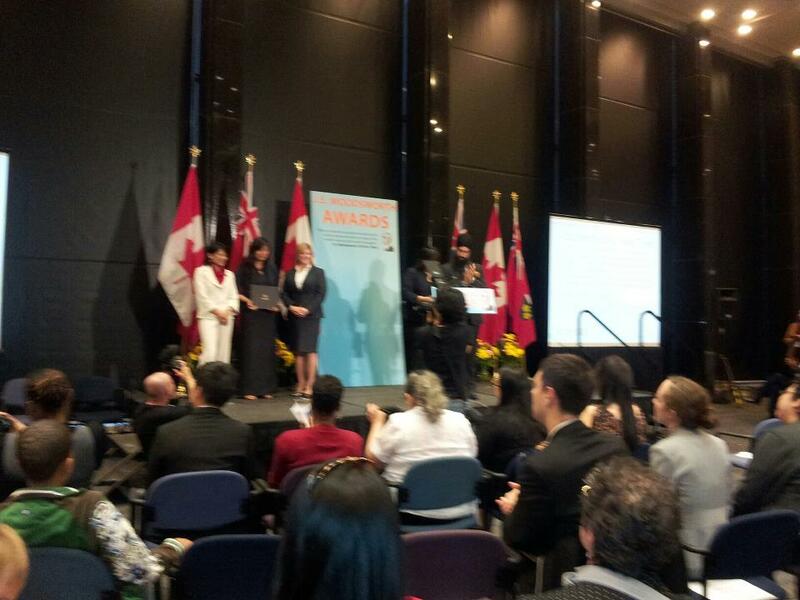 Oh, and we didn’t end up winning, the Regional Diversity Roundtable of Peel won in our category, but I still say we won in many other ways. In your face China. Congratulation to all of you SFT members of canada and to Tenzin Lobsang personally. Good job and keep it up. We still have get back Tibet. Lhakar, though I miss some of your mail, I have enjoyed reading all that I have read. Keep up the great work!! !